fear reaching it’s breaking point. turnned bitter on my tongue. Welcome to getting older. How quickly we become jaded. Isn’t that the truth? I miss the days of blind faith and endless hope. That’s Beautiful. So real of so many. This is a wonderful poem that astutely walks the line between hope and hurt. Thank you. I sense a deep sorrow in your words. Hope I’m wrong. Find a place inside your heart where there is joy and love, and it will burn out the pain of disappointment. 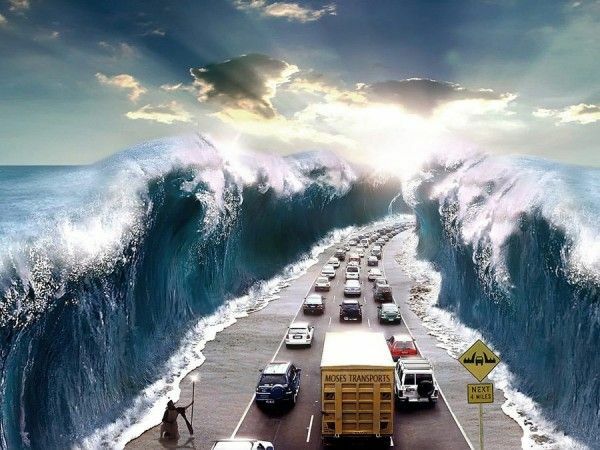 I love the Red Sea analogy. Thank you, Ellie. I appreciate you. A sentiment I identify with very much. Wonderfly expressed, Tosha. Love. You’re so very welcome and thank you for the kind words. What a strong poem Tosha. If I may say that roots never dry. No matter where we are, what will happen to us, whether we are broken or run away, we will all eventually come back to what we know is Truth. May your days be filled with love! You are definitely welcome gorgeous! Good writing and purely remarkable imagery. Thank you. The video is perfect. Gotta love that photo. Hahahaha. Modern day parting of the Red Sea. Just like your poem expresses the heart and thoughts of so many Americans that are frustrated with their faith. And not just Americans, but much of the Western World. Or maybe I’m just totally off base with my interpretation here…? At any rate, spectacular poem Tosha. Seems so real and honest. You are spot on. Thanks for getting it! Thank you. You’re always so kind. Thank you. Nice to connect. Ooo, I like it! Plus, very cool pic. You paint such stunning visuals! !